Not backing down. Michael Moore has shared his to-do lists on Facebook calling for a reform of the Democratic party — and the entire election system — following Donald Trump’s presidential election win over Hillary Clinton. 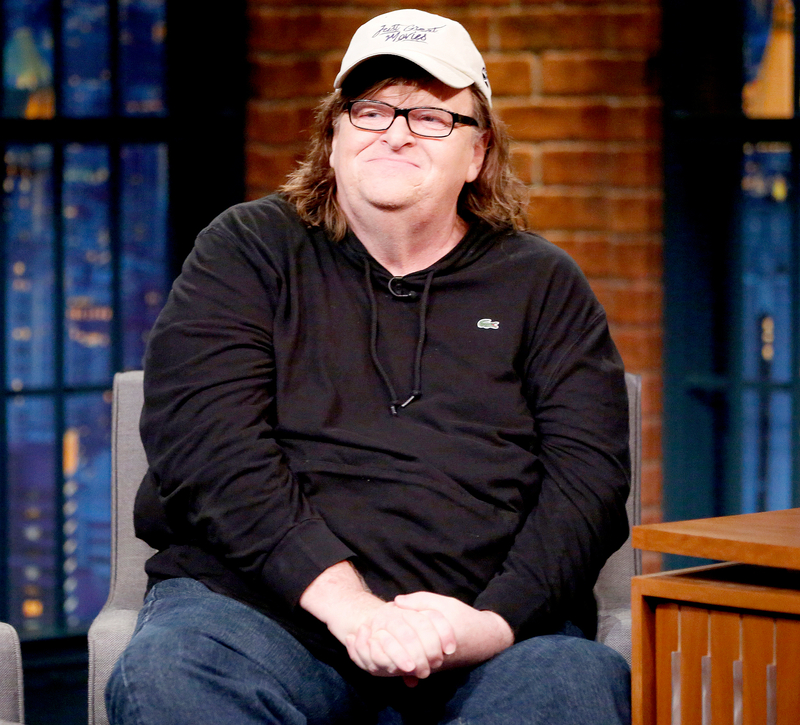 The filmmaker, who released his surprise anti-Trump documentary, Michael Moore in TrumpLand, last month, shared his first list the morning of Wednesday, November 9. The No. 1 item: “Take over the Democratic Party and return it to the people. They have failed us miserably.” Second on his list was to fire all pundits, pollsters and journalists who refused to acknowledge what was really happening with Trump, and third was to remove any Democratic members of Congress who didn’t wake up ready to fight against the Republican candidate. Lastly, he told supporters of the former secretary of state to tell everyone they meet that Clinton won the popular vote. “The majority of your fellow Americans wanted Hillary, not Trump. The only reason he’s president is because of an arcane, insane 18th-century idea called the Electoral College,” he wrote. On Thursday, November 10, Moore, 62, had another to-do list written out that proposed even more extreme changes. Items on the list included forming an opposition movement, impeaching Trump, and committing civil disobedience if necessary to block any Supreme Court justices nominated by the former Apprentice star that the Democrats do not approve of. He also called on the Democratic National Convention to apologize for pushing for Clinton to be the party’s nominee over Vermont Senator Bernie Sanders. "Demand the DNC apologize to Bernie Sanders for trying to fix the primaries against him, for spinning the press to ignore his historic campaign, for giving Clinton the questions in advance at the Flint debate, for its latent ageism and anti-Semitism in trying to turn voters against him because of his age or religious beliefs,” he wrote. And with the popular vote and the Electoral College votes conflicting for the fifth time in history, the director also urged people to begin a push to eliminate the Electoral College and electronic voting, to allow those with criminal pasts to vote and make Election Day a holiday for all.